Ealing post-punk band White Lies consists of Harry McVeigh, Charles Cave and Jack Lawrence-Brown. In 2009 they released their debut album To Lose My Life... which topped the UK album charts. 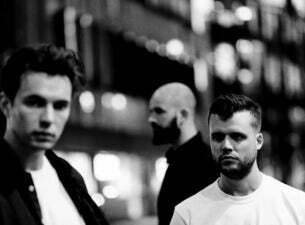 White Lies released three more albums: Ritual in 2011, Big TV in 2013 and Friends in 2016. They've announced a new album, Five, will come out on 1 February 2019 and be accompanied by a UK tour.